INCREDIBLE MANEUVERABILITY AND CONFIDENCE: The first-of-its kind drive system of four-wheel steering with steering wheel control gives professionals a higher level of stability, precision and ease-of-use on any terrain. And by virtually eliminating turf damage, the PRO Z 100 S Series enhances your end results. THE POWER OF KOHLER® COMMERICAL-GRADE ENGINES: The high-performance Kohler engine means greater torque, and the heavy-duty air filtration system ensures that it can consistently run at full throttle and extends engine life. That means you get incredible results at an incredible pace, year after year. 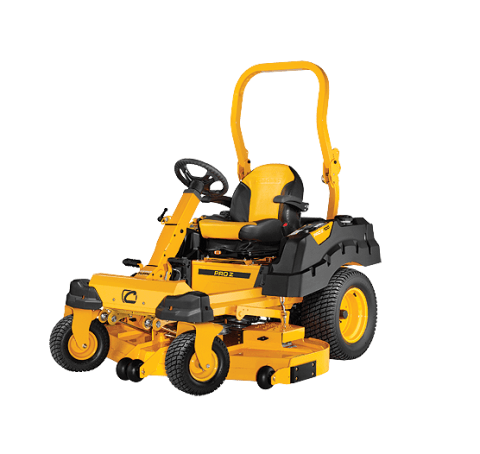 UNSURPASSED RESULTS OF THE CUB CADET SIGNATURE CUT™: The PRO Z 100 S Series features a sloped-nose, triple-blade floating fabricated deck. 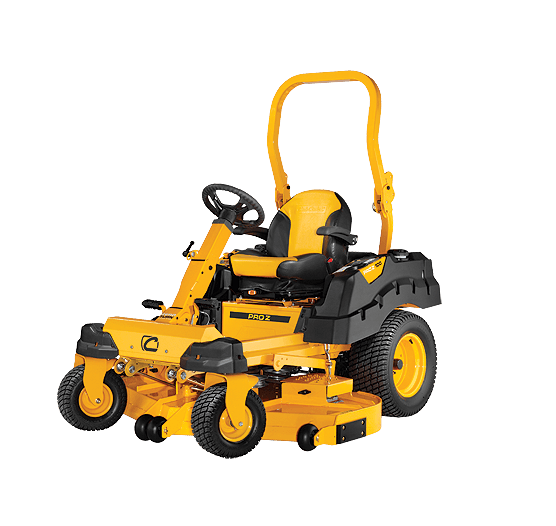 The 10-gauge reinforced leading edge, trim-side discharge opening and consistent blade tip speed evenly disperse grass clippings for pristine, professional-grade results.